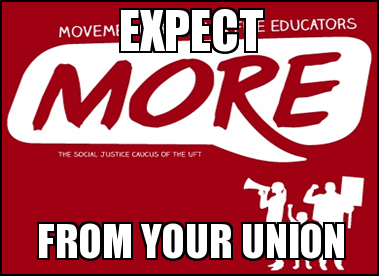 -This list of the main improvements we would like to see in the 2014 NYC teachers’ contract was developed based on democratic discussion and a vote at the 1/18/2014 meeting of the Movement of Rank and File Educators. Join us to continue the discussion! 1. Improved Learning and Working Conditions: Our schools should have lower class sizes, and they should be fully funded and staffed with sufficient support services. Therapists, Guidance Counselors, and Special Educators should have reduced caseloads so our high-needs students get what they need to grow, and educators have enough time during the school day to complete necessary recordkeeping and planning. 2. A Better Evaluation System: Teachers should be part of the team that builds our new evaluation system. 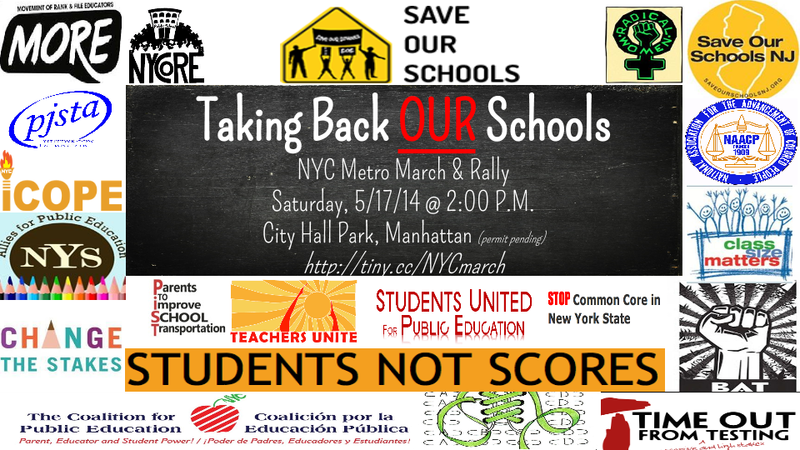 It should not be tied to high-stakes standardized test scores. Instead, each school’s staff should play an active role in choosing meaningful, student-friendly assessments that can be used to inform instruction and measure growth. Extra paperwork and quantitative data creation should be eliminated. 3. Competitive Salaries: We deserve full retroactivity and fair raises based on the rising cost-of-living, and to retain teachers. 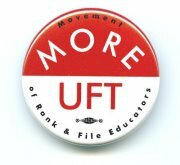 To demonstrate respect for all of our work, there should be a move toward salary equity for all UFT members. 4. Restoration of Due Process and Fairness: All teachers deserve to be treated fairly, thus our contract should restore the right to transfer and to grieve material in our files. Teachers should be considered innocent until proven guilty at 3020a hearings, and the “fair student funding” budget system (that penalizes hiring of experienced teachers) should be reversed. If enacted, these changes will effectively end the ATR crisis. 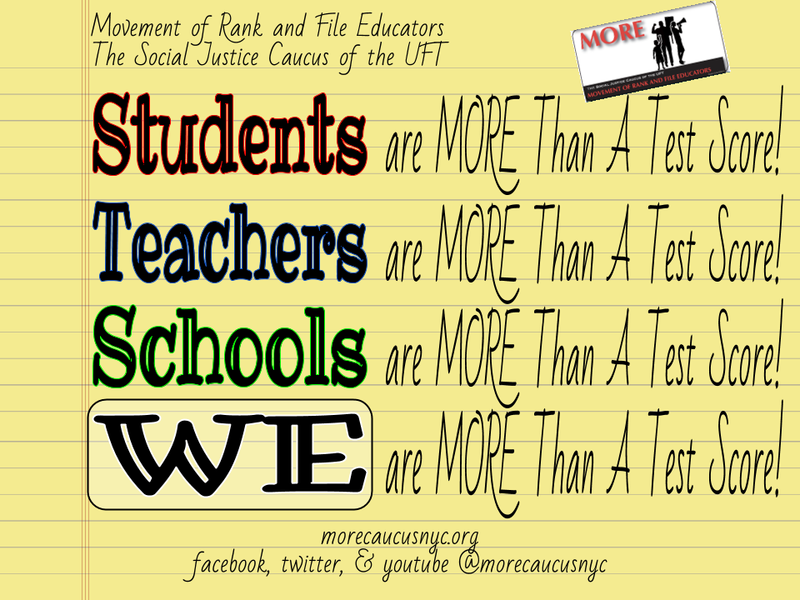 Please download a flyer-version of these ideas to spark discussion within your UFT chapter or community here! MORE Top 4 Contract Flyer. And, if you’re interested in thinking about an ideal contract in more detail, check out “The Contract NYC’s Educators Deserve” that we shared in an earlier blog post. You can also find more resources under the “Contract” tab above.